Former Ebru presenter Kamene Goro has finally revealed the identity of the man in her life. 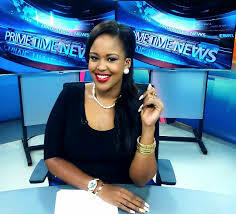 The TV host who Team mafisi thought was single probably because all her social media photos dint show anyone in particular left everyone in surprise when she hinted of an engagement a few weeks ago. The couple brought their romance front and center while raving at a local joint and decided to pose for a few photos while getting a few drinks with friends. 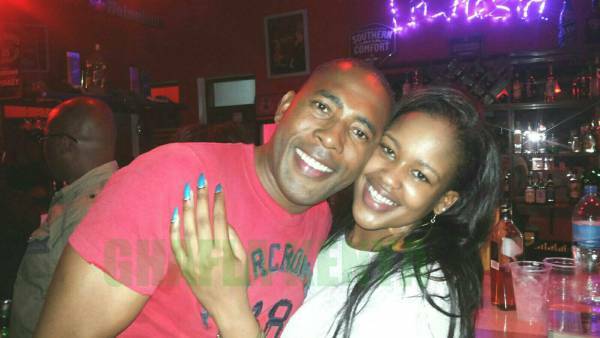 Kamene who is mostly famous for her looks rather than her role as a presenter, looks perfect for the guy who also looks a little bit mature. We managed to get a few photos of the two whihc were posted online, and they looked a little bit toxed and excited.